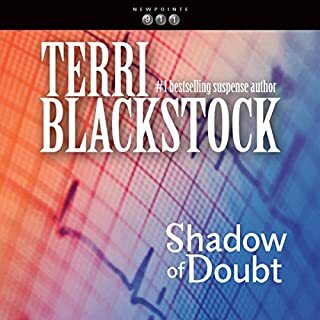 Terri Blackstock is an excellent story teller and J C Howe...amazing voice...and brought the characters to life!! 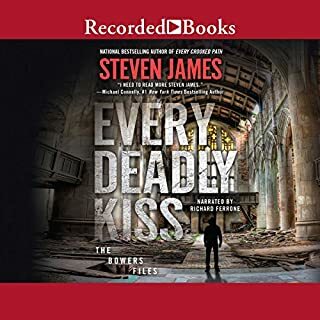 FBI Special Agent Patrick Bowers grapples with a baffling series of murders in Detroit - and discovers a terror plot whose roots stretch back centuries. Consulting on a case, Patrick encounters the work of a killer who displays a stunning degree of ruthlessness. 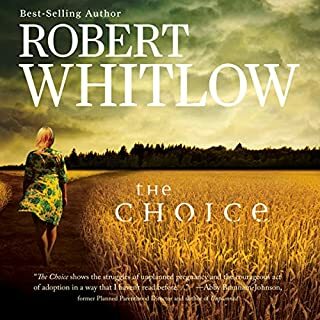 Patrick is shocked to find that the slayings are linked not just to his own history with a known terrorist but to a former lover as well - and that her secret past might hold the key to stopping the countless deaths. Early years Patrick Bowers- EXCELLENT! A Texas serial killer called BoneMan is on the loose, choosing young girls as his prey, His signature: myriad broken bones that torture and kill - but never puncture. 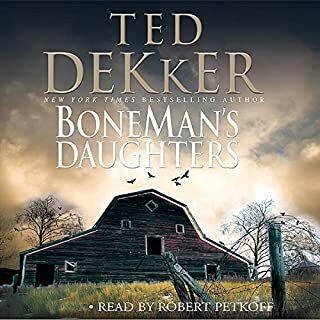 In a story that is devaststing in its skill and suspense, - Ted Dekker brings to bear his ability to terrify and compel in BoneMan's Daughters. love this book. i love all of his books!! i listened to this one non stop from beginning to end. i couldn't put it down!! 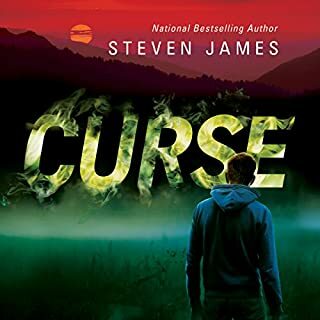 As Daniel Byers prepares to attend a basketball camp before his senior year of high school, the terrifying blurs that've plagued him for the last nine months return. Dark images begin to haunt him - creatures crawling from the deepest pits of his nightmares, glimmers of chilling memories from his early childhood. Great end to a wonderful beginning! I loved this book. 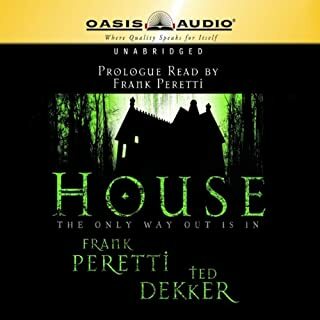 But I have thoroughly enjoyed all of Frank Peretti and Ted Dekker's books. It is a difficult book to put down!! The narrator was amazing! I will definitely look for more books that he has narrated. I loved this book but i think I've listened to or read everything these guys have written both individually and as a group. I really loved this book. I hated to have to stop listening!!! I really enjoyed the performer too!!! I loved everything about this book. I get everything the author writes!! I really enjoyed the story. I can hardly wait to start the next book in the series!!! . I wasn't thrilled about the person who read the story. most of the time I felt he was very flat and even boring at times. I almost returned the book and I would have if I didn't love all the other books I have listened to by the author. after a while I got use to the preformer's voice. I'm glad I didn't return the book because I really did enjoy the story. Enough about this book , I'm ready to start listening to the next book in this series!!! I'll let you know what I think of book 2!!! 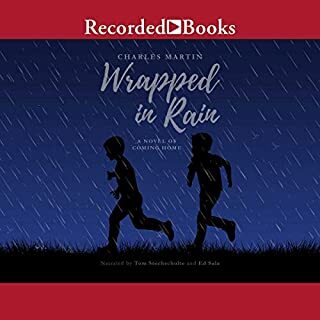 Best-selling inspirational author Charles Martin's debut work was optioned for a Hallmark Hall of Fame movie. In this southern gothic story, Tucker is a world famous photographer with a half-brother named Mutt living in a mental hospital. When Mutt escapes, Tucker must return home to rural Alabama where he is forced to confront the ghosts of his past. Wrapped in Rain features a compelling reading from narrators Tom Stechschulte and Ed Sala. Really en joyed this book. i love the voice of the man who reads this book. When their last outgoing flight is cancelled, Ben finds a charter plane that can take him around the storm and drop him in Denver to catch a connection. 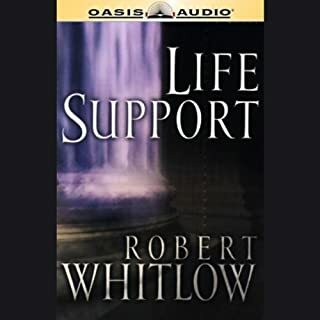 And when the pilot says the single-engine prop plane can fit one more, if barely, Ben offers the seat to Ashley, knowing that she needs to get home just as urgently. And then the unthinkable happens. The pilot has a heart attack, and the plane crashes into one of the largest stretches of harsh and remote land in the United States. I really loved this story. i listening to books while i walk my dogs. We walked a lot longer than usual and more often because I hated to stop listening and I could hardly wait to hear the next chapter. I really loved everything about my listening experience. i could almost feel the cold and I laughed and I gasped I even cried it was better than going to see the movie!!! Anyone eho loves a good love story will love this book. 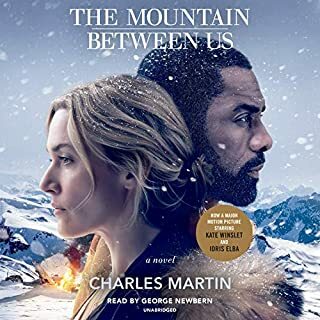 But it's so much more than that you will need to listen to this book to understand the title...The Mountain Between Us.